Abstract acceptance emails where sent out on the 7th November 2018. If you are a delegate but have NOT yet received your confirmation, please email the meeting organiser: annualmeeting2018@palass.org. (Note: it is worth checking your junk/spam folder). The Annual Meeting of the Palaeontological Association will be held at the University of Bristol between the 14th and 17th December. Dr Jakob Vinther is the primary convener, and the e-mail address for all meeting matters is annualmeeting2018@palass.org. Code of Conduct: we ask that all delegates familiarise themselves with the Palaeontological Association’s Code of Conduct for the meeting. 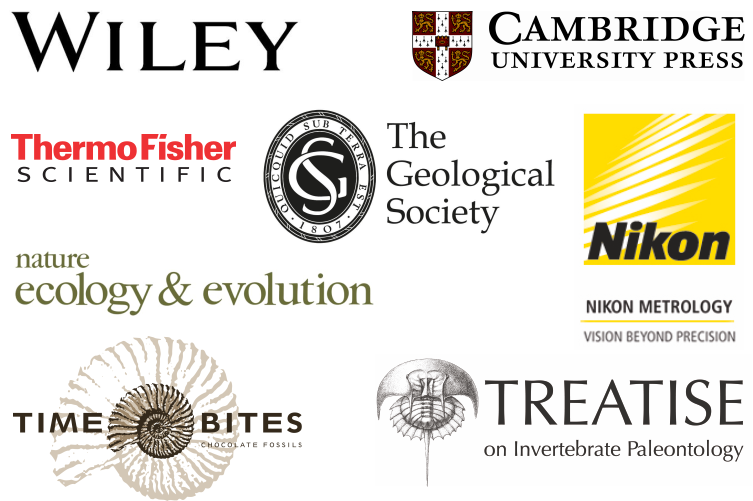 John Wiley & Sons, Nikon Metrology, Thermo Fisher Scientific, Nature Ecology & Evolution, Geological Society Publishing House, Cambridge University Press,The Paleontological Institute, and Time Bites.